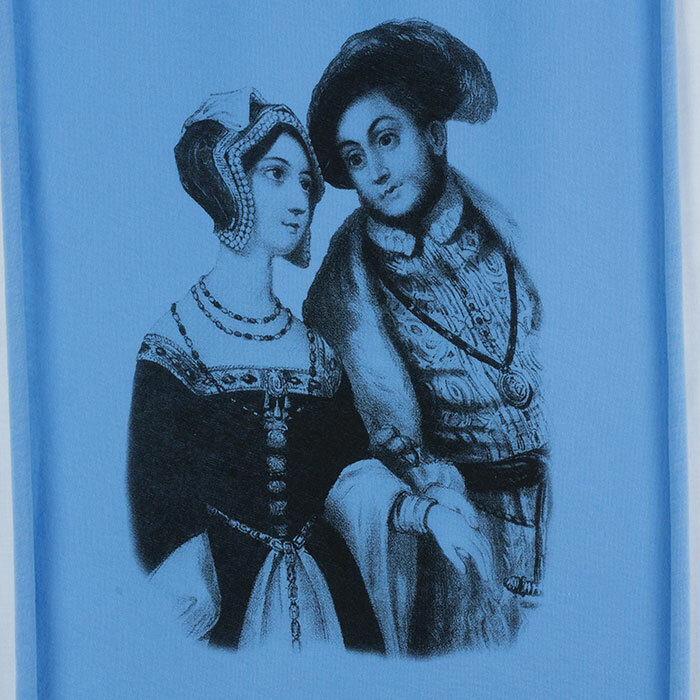 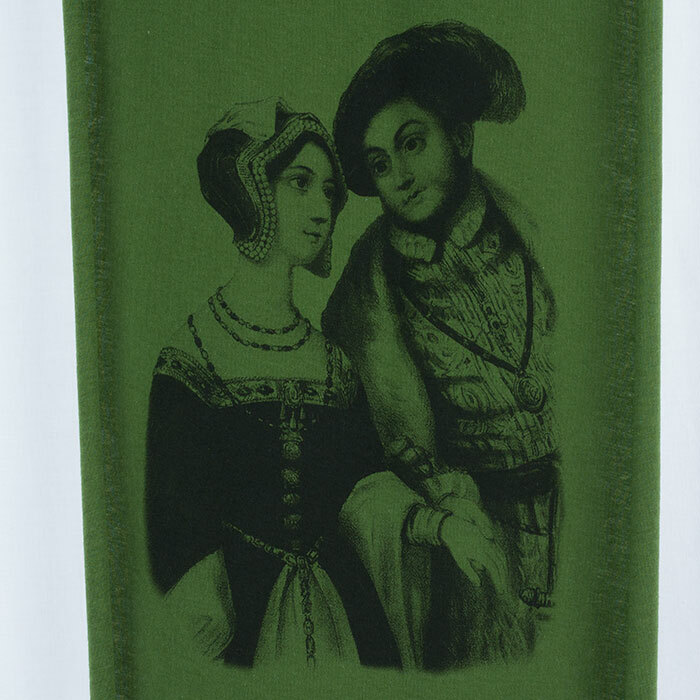 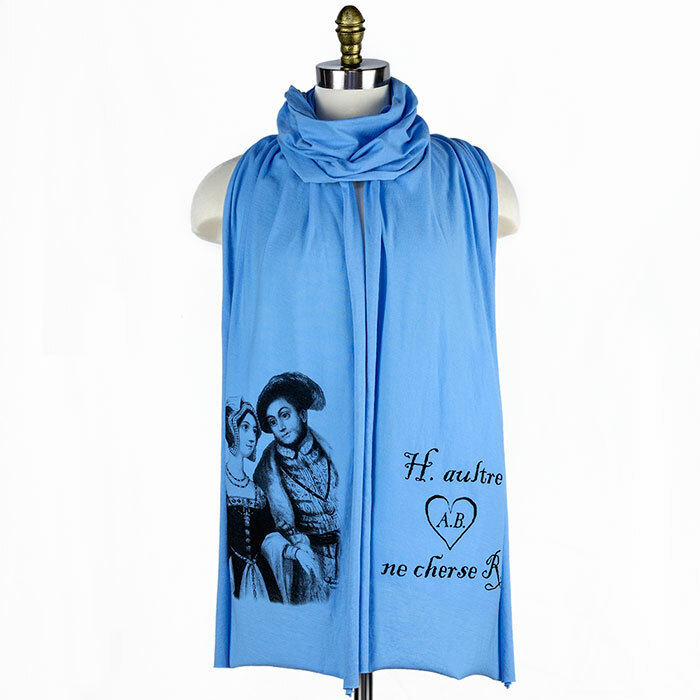 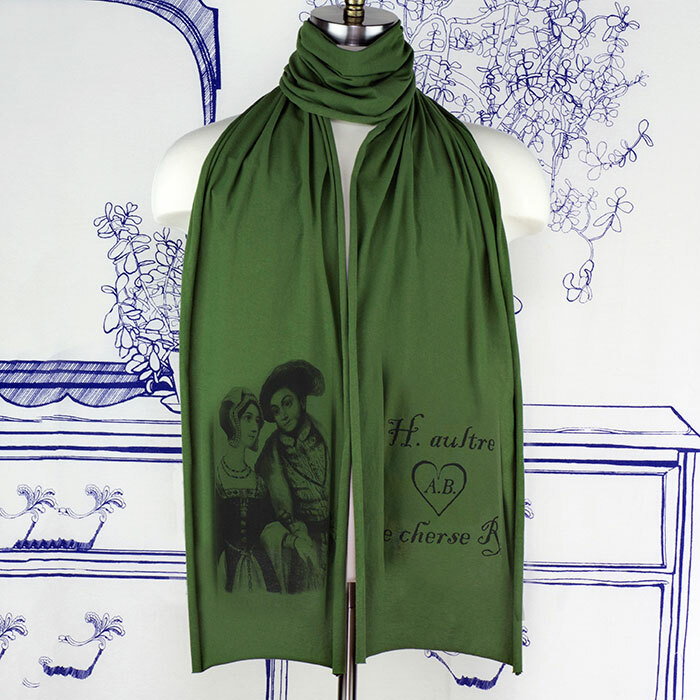 This all-purpose, comfortable Sheer Jersey cotton scarf features on one end a design of mine based on a vintage engraving of Anne Boleyn and Henry VIII and on the other end a selection from a love note from Henry to Anne. He wrote “H. 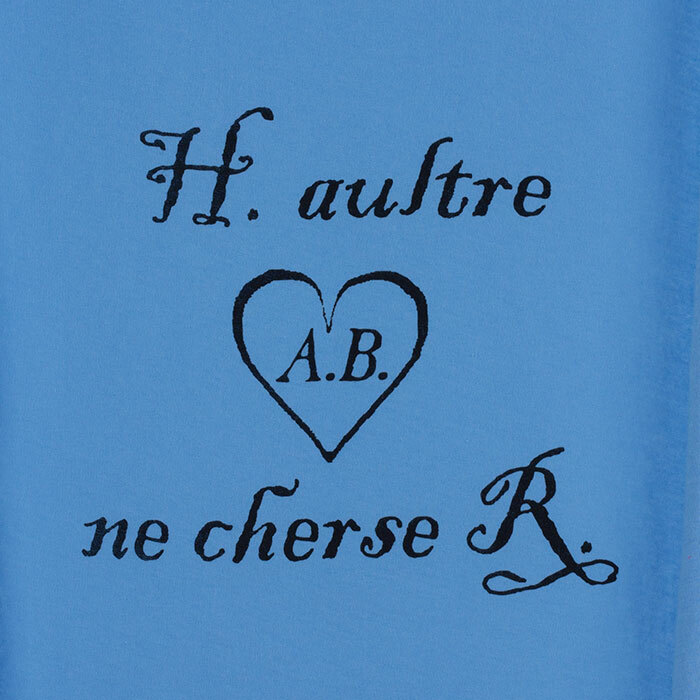 aultre A. 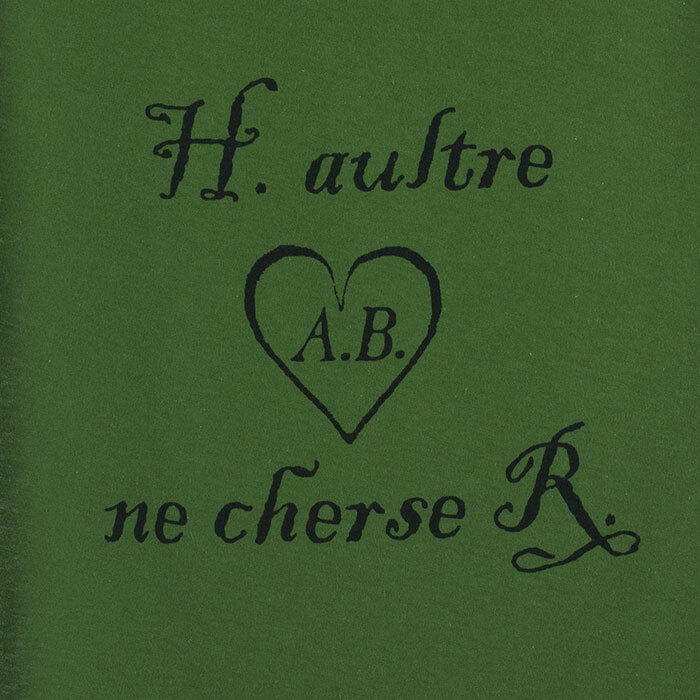 B. ne cherse R.” drawing her intials inside a heart, meaning " Henry seeks AB, no other".